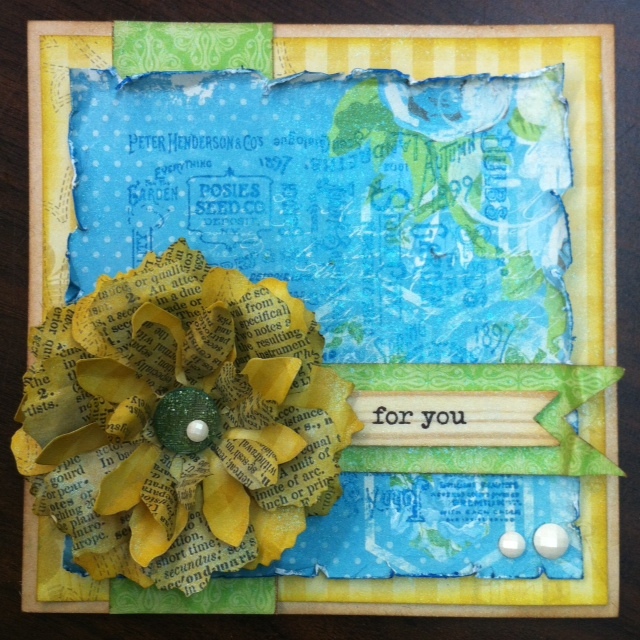 This card is also my contribution to Tim Holtz's Tattered Florals Challenge! I cut the flower from paper by BoBunny and text paper by Bazzill which I'd inked up with Distress Stains. 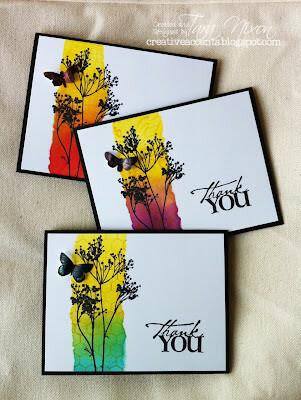 I then added Distress Ink to all the cut flowers and layered them together while shaping them. I finished off the entire card with a misting of Perfect Pearls Mist in Turquoise. Hey, Tara, this card is gorgeous! 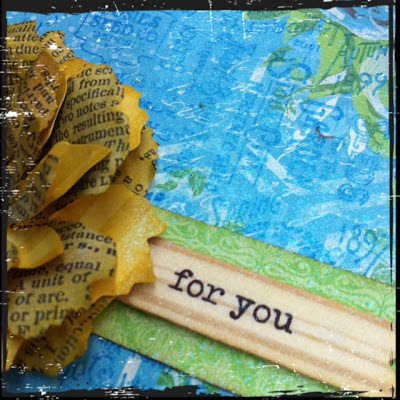 Might even inspire me to break out my Tattered Florals die!